So Jules introduced me to download this application for Iphone that I installed a month ago but never cared to use. So with the onset of my 30 day challenge- I tried it. I love it. 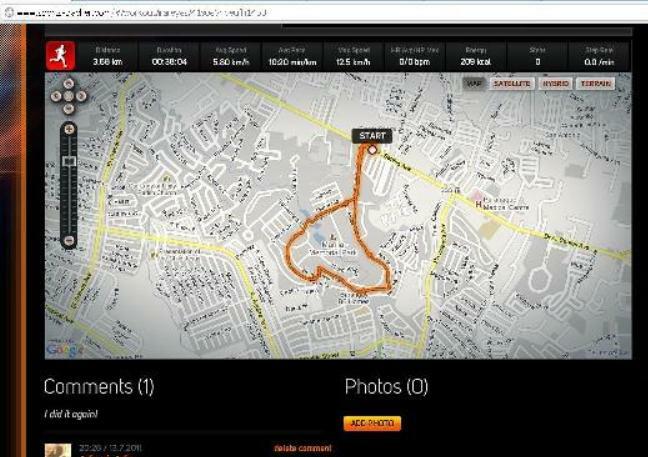 It’s so dependable and motivating to see all the details of my run… You can also share it via twitter, other sports tracker users and facebook. It has a diary and analysis of your routines. I am actually super sore all over. I can’t raise my legs but I feel good. Like they said, if your hurt or lonely- exercise more since it gives you more ENDORPHINS- the happy stuff;-) The world is good. I probably slipped recently, but life is good and people around me are great. NAMASTE!